One of the main questions customers ask about the HCG diet is, “What can I eat?” When on the HCG diet, there is a strict protocol of 500 calories that you must adhere to in order to be successful at losing weigh and also keeping the weight off long-term. When Dr. Simeons started researching the HCG diet before he published it, he reviewed hundreds of foods to see exactly what worked best and what offered the best weight loss results. There are 3 different phases of the HCG diet. There is the loading phase, the low calorie diet phase, and the maintenance phase. There is an optional cleansing phase that can be done before you start the HCG drops. On occasion, the cleansing phase is called Phase 1. Loading & the low calorie diet are called Phase 2. And maintenance is called Phase 3. It can get confusing, so we prefer to stick with just the basic names of each phase. During the loading phase, which will last 2 days, you will start taking the drops and eat all of the fatty foods you possibly can. It’s best to go for quality over quantity. You want to eat lots of fatty foods, but at the same time you don’t want to make yourself sick. Recommended foods for loading are butter soaked eggs, bacon, pasta with Alfredo sauce, and cheesecake. The purpose of the loading days is to ensure that your normal fat reserves are reasonably well stocked. It will also help with any hunger that may arise during the first week on the low calorie diet. 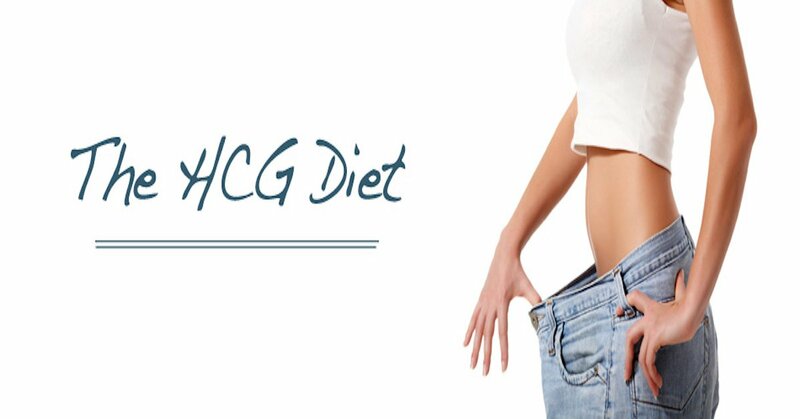 After the first two days of loading, you will begin the low calorie diet portion of the HCG diet. This will last anywhere from 21 days up to 45 days, depending on how much weight you have to lose. During this part of the diet, you must stick with the low calorie diet in order to lose the maximum amount of weight. If you do stray from the low calorie diet, your weight loss will stall for 3-6 days, and you can possibly gain. The HCG diet is very sensitive and it’s best to do it at a time where you know you will not have any interruptions such as holiday parties, birthdays, and more. – Tea or coffee in any quantity without sugar. Only 1 TBSP of milk allowed in 24 hours. Stevia is the only sweetener we recommend while on the HCG diet. – The same options as lunch. It’s best to mix up your options as much as possible for maximum weight loss. For example, if you have chicken, asparagus, and an apple for lunch, try having fish, spinach, and an orange for dinner. During the low calorie diet, you are allowed the juice of one lemon daily. You can also use spices & seasonings such as salt, pepper, white vinegar, apple cider vinegar, mustard powder, garlic, basil, thyme, marjoram, etc. It’s always best to double check the ingredients on prepackaged spices. Avoid any products that contain anything ending in –ose, contains sugars, starches, or foods not allowed on the diet such as carrots. During the low calorie diet, you can split up your foods if you’d like. For example, if you are a big snacker, here is a schedule that might work for you: 10 AM – Fruit, 12 PM – Veggie and Protein, 2 PM – Melba Toast, 5 PM – Veggie and Protein, 6 PM – Melba Toast, 8 PM- Fruit. This can help with any hunger or urges you have to snack. Once the low calorie diet portion is over, anywhere between 21 and 45 days, you can discontinue the drops. You’ll want to go 3 days on the low calorie diet without the drops. It’s best to take your last drops at night, so starting in the morning you can start your 1st of 3 days right away. After the 3 days are over, you will move to maintenance. Maintenance can be tricky, because you have been on such a strict diet for 3-6 weeks. Now with all kinds of options, it can be hard to figure out exactly what to eat. During the maintenance phase, you will increase the amount of calories you eat per day. We don’t recommend following the low calorie diet without the use of the HCG drops. Maintenance will last anywhere from 6 weeks up to 6 months, depending on how many times you have done the HCG diet. Maintenance increases after each round. After your first round of HCG, you will do the maintenance phase for a total of 6 weeks. That includes 3 weeks of no sugars and starches, followed by 3 weeks of slowly working sugars and starches back into your diet. During the first three weeks, you can slowly start to reintroduce foods back into your diet that weren’t allowed during the low calorie diet. Some foods that you can start to introduce would be plain Greek yogurt, block cheese (we recommend avoiding pre-sliced and pre-shredded cheese at first due to the additives), avocados, along with a variety of fruits, vegetables, and other protein options. During the second half of maintenance, you can slowly start to work sugars and starches back into your diet. A good starting point would be to introduce ½ c. of cooked brown rice. It’s best to begin by bringing in unrefined foods and avoid refined sugars and starches. Once you are done with the maintenance portion of the HCG diet, you can either start another round of HCG if it’s needed or continue on with your new healthy way of eating. The best way to maintain your new lower weight is to continue a diet rich in lean proteins, whole grains, fruits, and vegetables, accompanied with an exercise routine. It’s best to use the time while on the HCG diet to break bad eating habits like sugar-filled snacks, empty calories, and drinking soda. Take this time to take control of your health and never look back at the habits that caused part of the weight problem in the first place.